How to Turn Your Job Searching Into a Stratospheric Success! Your talent, your knowledge, and your time are very valuable assets, but they were probably vastly undervalued at your last job. When you are looking for new employment, it is worth taking some time to really appreciate your skills and what value you can offer to your next employer. Before you begin, make yourself a ‘personal asset list’ and pin it up somewhere prominent so you can see it every day and draw some inspiration from it. Your list should highlight at least your top ten skills, talents and strengths. 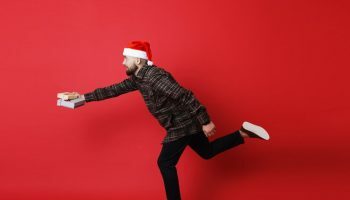 Of course you could make your list much longer than this, and you should treat it as an ever-expanding list of achievements that you can add to as you go along. Your personal asset list is always there to remind you just how great you are! You can also use this as a list of your key skills that you will want to make your next employer aware of. The value you can provide to your next employer will make it much easier for them to hire you. But be clear on your own worth before you can expect anyone else to value you. To make your job-seeking efforts really stand out and to get your efforts into the stratosphere, you should think of yourself first and foremost as an entrepreneur. By altering your mindset from an ‘I am prepared to work for money’ approach to a ‘look at how you can benefit from my knowledge and skills’ approach will make you a far more attractive prospect for your next employer. The most valuable gift you have to offer an employer is yourself. Remember what is written on your personal asset list. Make it clear with your job searching just how amazing you are! 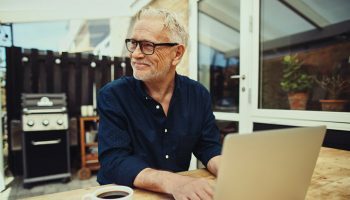 Now that you are fully prepared with your motivational list of personal assets, let’s take an in-depth look at how to positively apply your skills to your job-searching efforts. While advances in technology changes the world around us so fast, the most basic elements of your resume format still remain the same. It is how you present your resume that is the key to getting yourself noticed by the hiring manager. If your resume looks identical to the next, you have already reduced your chances of landing an interview by at least 80%. You need to think outside of the box. Where 99% of job applicants will be using the same zombie-like terms and phrases to pad out their resume, you must think differently. Use language that will capture who you are and what you have done without resorting to standard resume language that will diminish your skills. Take a look at our article about Key Skills That All Resumes Need for a better idea of what you should be including on your resume. These are the keys that recruiting managers will be scanning your resume for, so you need to make these skills jump off the page. If you are serious about looking for work, then you will be able to save yourself a lot of time by formulating a good but basic cover letter that you can then tailor to suit each individual job you apply for. It saves you having to write a fresh cover letter out each time and ensures that you don’t miss any of the important elements you need to include. Find out How To Craft A Generic Cover Letter, but always remember to edit it using the same language and keywords that are found within the job description. 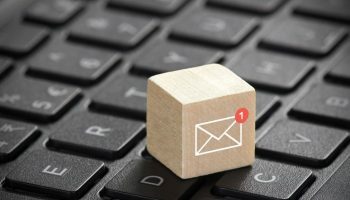 How To Write A Killer Cover Letter will give you more information about how to tailor each individual cover letter to suit the needs of the job. While creating your own resume may come easy to some, other people may struggle with knowing exactly how to create one, especially when writing one from scratch. So, should you pay someone to write your resume? Wouldn’t doing this be seen as a form of cheating? Struggling to know how to structure your layout? You are not sure how to best summarize and highlight your key skills and strengths? Beware, this could lead your resume to being a complete disaster. By having an in-depth consultation with a professional resume writer, you are raising your chances of being selected for an interview by a hiring manager. A professional resume writer will know how to highlight your skills and achievements perfectly to fit a particular role. They will also understand what recruiters will be looking for when scanning your resume, so will cut out all the unnecessary waffle or padding that is irrelevant for the job in hand. Using a professional resume writing service will give you that cutting edge during the selection process. You will work closely with your resume writer throughout so that you are completely happy with what is written, but also you will be very familiar with the structure and layout. This can be extremely helpful should your resume be used for questioning purposes during your interview. Obviously, you understand how vitally important it is to have a resume that stands out from the rest. 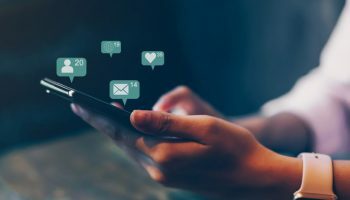 While achieving this may be a lot easier said than done, there are tried and tested methods you can use to give you a head start. Many successful job-hunters have landed their perfect role through the help of free resume templates. The idea behind them is to provide you with the basics you need to build yourself an outstanding resume, but by using designs and formats that have been meticulously crafted by design industry experts who know how to create an impact. Whether you are looking to create your resume from scratch, or you are wanting to give your old and tired resume a bit of a face-lift, using a professional ready-to-use template can be extremely helpful! Take a look at our 55+ Free Resume Templates For Word for some perfect examples of great style combined with clever structuring to deliver exactly what a recruiter wants. Using professional resume templates will definitely separate you from the flood of other applicants hitting the recruiters’ desk or inbox. You can deliver all of your key information in one eye-catching hit, but also leave behind a positive impression with a touch of class that others will lack. Online resume builders can be quite useful tools. They can help you build your work experience and qualifications into a well-structured resume with very little fuss. This makes these services valuable for the busy job-seeker, especially if you are already working and trying to fit in job-hunting for a better role or for career progression into your spare time. There are quite a few resume building services online, some are completely free where others may charge a nominal fee for their services. You need to take care when choosing the right service provider as some can be quite generic and only offer the basics. Here are a few that we think offer a good service – some offer free and paid-for options, so you can pick and choose to see what suits your needs the best. 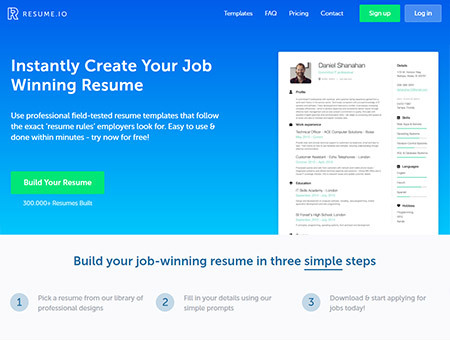 Resume.io is set up to be an online fully automated resume builder. You simply follow the step-by-step instructions to build your resume from scratch. They offer a nice selection of template designs as well as content writing tips should you need some guidance about what to write. Simplicity is the game here with a very user-friendly resume builder. You can choose to go with the basic free builder that need no signing up for, but to get access to a wealth of additional features, such as resume templates and the ability to save and edit your resume, you will need to sign up with your name and email address. KickResume is like a one-stop-shop for the dedicated job seeker. This comprehensive site offers everything from a resume builder to extra resources that you can add on for a reasonable charge. Ideal for a first-time job seeking graduate who may need some live help with their resume and cover letter creation. Also a great option for more seasoned job-hunters wanting a career change and needing some guidance about updating and improving the readability of their resumes to meet modern requirements. 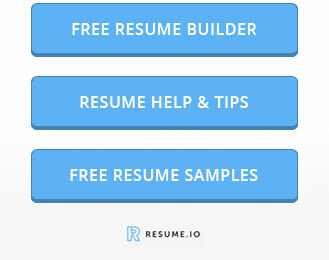 Resumonk offers a good free resume management tool. You can easily build your resume by following the instructions and then tweak it to suit your individual needs. You can create resumes in both PDF and Word, whichever suits you best. Choosing the premium option will give you access to additional features such as cover letters, multiple resumes and different file export formats. If you are looking for something that is very user-friendly and simple to follow, then VisualCV is probably the most user friendly choice in this list. It also offers free hosting for your resume and allows many resume file imports. Their premium service offers a personalized branded hosting option and a few extras not available with the free service. First impressions do count, that is why your first impression with your resume will either make or break your chance of getting an interview. We know from experience how much your chances are improved by using a well-designed, professional and stylish resume template. This is why it is only logical to take the next step from using free resume templates to buying a premium pack. 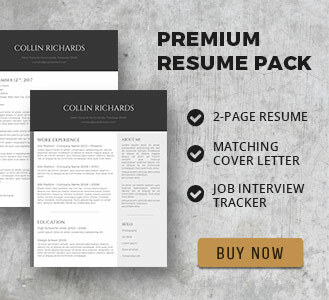 Premium resume packs are not only a great way to save you time with your job-searching efforts, but they are also a very cost-effective way of gaining some of the best resume templates specifically engineered by industry experts to be successful. Choosing a comprehensive premium resume pack, such as our own Premium Bundle offer, will give you everything you need to stand out from the crowd and vastly improve your chances of landing your dream job. Many premium resume packs will come with free added extras, such as ours with 10 stunning resume templates, matching cover letters and a job planner, which makes the whole process of applying for and managing your job searching activities much easier. 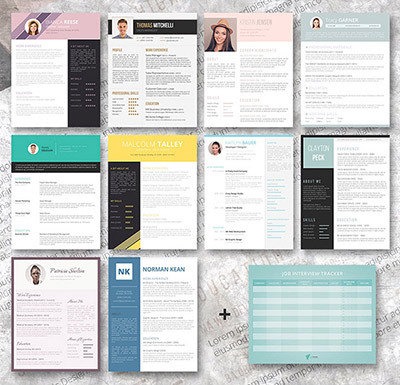 Why should you settle for one single template for all of your job applications when you can get 10 individually crafted, beautiful resume templates with all the extras, all available in one bundle. Online job boards are like modern day versions of circling job adverts in a newspaper. Using job boards can be an excellent way of narrowing down your job search using your specific criteria. Modern day job boards are used by large and small companies the world over, and are a great way for you to reach potentially thousands of recruiters and employers. On the whole, there are usually two different types of job board you will come across. One will be like ours where you enter your details into the search engine and be presented with suitable job matches in your local area. The second version is usually one where you need to submit your resume online that is then added to a database. This database is then used by employers to look up potential candidates with the required qualifications and skill set they need. Why not try our job board to see what valuable job leads we can generate for you! If you have never heard of resume distribution services before, then you will be pleased to know that you can use these to get your completed resume into the hands of lots of potential new employers. The process sounds promising, but you may be wondering how effective they are. The fact is that resume distribution services such as Recruiter.com and ResumeRobin.com, are specialized companies that are highly connected with 500+ of the top recruitment companies on the planet. They will send your resume on your behalf to a number of potential employers within your chosen industry sector. The whole system enables your resume to gain more exposure than you could manage by yourself by individually sending out your resumes to companies. Their network of hiring managers and direct contacts within human resource departments mean your resume can reach places that you may not be able to access on your own. What this means for you is uncovering many more job opportunities that you may not be aware of, and often it can result in your being invited for interview even before a vacancy has gone fully public. Quite often these are better paid positions than you may have considered applying for, but you have the matching skills that employers are looking for. Even when a position has been filled, it is quite common for hiring managers to hold on to interesting resumes for upcoming and planned future positions. Nowadays job-hunters are not only faced with providing eye-catching and informative resumes to win a job, they also have to perform well at interview. A part of the interview process for vary many employers now also involve interview assessments. These assessments can take many different forms, so it is worth enquiring to find out exactly what sort of test you will be facing. Interview assessments come in all sorts of shapes and sizes, from psychometric tests to group challenges and teamwork discussion sessions. The whole system can appear quite exhausting to the busy job-seeker, but nevertheless, if an assessment is part of the recruitment process, then you will have to prepare yourself to take part. To help you out, we have written an informative post about Interview Assessments and how best to prepare for them. You may be quite dismissive of these types of tests, but research has proven that adding them to the interview process can really give the employer an insight into whether you will fit the job. Tests like these can highlight key skills and abilities that are hard to demonstrate via a regular 45 minute face-to-face interview. 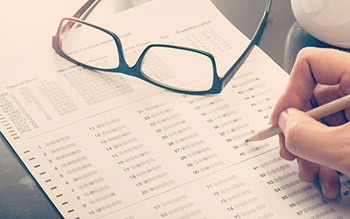 These sort of tests have been used successfully for quite a number of year across Europe, and many US and international companies are now using them to more fairly evaluate job candidates on all levels. So, after all your hard work and diligence in applying for jobs and submitting your resume, you have finally won yourself an interview for your dream job. You may think that the hard part is over, but the interview means that you are really only half way there. Even if you can go into your interview all guns blazing and be prepared to dazzle them with your personality, you can never be exactly certain about the interview questions you will be asked. You may believe yourself capable of ‘winging it’ at interview and working off your adrenaline to answer the questions that are fired at you, but do you really want to risk blowing everything after coming so far by turning up completely unprepared? Going into your interview with zero preparation could be dangerous. You may end up stumbling through your interview, babbling pure nonsense and practically talking yourself out of the job. Being unprepared for interview is a big weakness that your interviewer will quickly spot. You could end up being out of the running for the job within 5 seconds of your interview starting. Do you really want that? When you have an interview looming, it is time to brush up on some Interview Tips That Will Land You a Job Offer, especially those awkward questions where you need to present your Strengths and Weaknesses in a Positive Way. It is not just about what you say during your interview, it is also about your body language too. Non-verbal body language is a big giveaway to a recruiter. Find out more by reading our post: What Does My Body Language Tell My Interviewer? 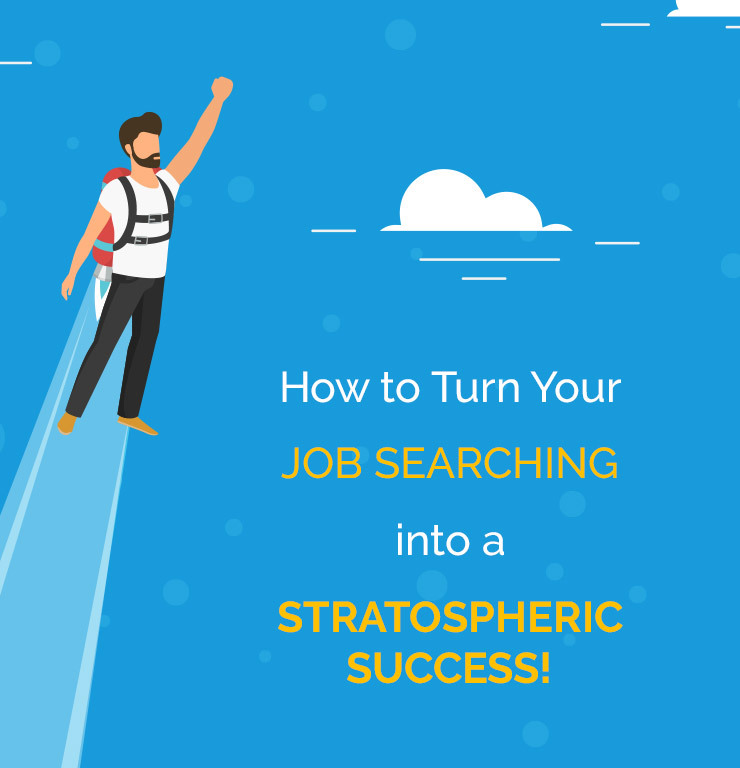 We hope we have provided you with a comprehensive guide to helping you get your job searching efforts into the stratosphere! Don’t forget to drop by and visit our blog on a regular basis for fresh advice and the latest job searching tips.